I will be making Mexican turkey lasagna for dinner tonight. One of the key elements of it is beans. When I have time I like to skip the tinned beans and make them from dried beans. Some benefits of making your own are; the salt content can be lowered, I know exactly what is in them, they are much cheaper, last but not least they just taste better :) I just love the look of dried pinto beans, they are such a pretty bean. Beans are such a versatile food, what is your favourite way to use beans? Before you start anything else, wash your beans, dig through them and pick out any items that do not belong. You can either soak them overnight or do the quick soak method. To soak overnight you take your beans, put them in a bowl cover them with 3 parts water 1 part beans, cover and leave them for 12 hours. I have a habit of never remembering to soak my beans overnight so I do the quick soak method.Take your beans put them in a pot, pour in the water for soaking. 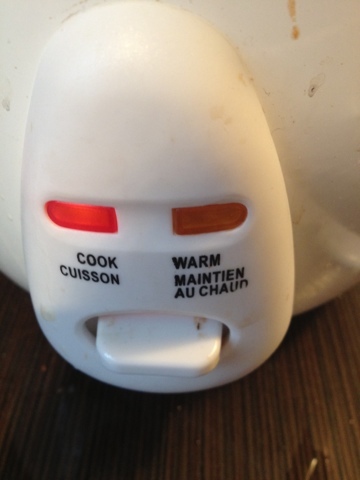 Bring to a boil, boil for 3 minutes. Turn off burner, let beans soak for one hour. Beans after the quick soak method, look how nice and plump they are! Rinsed beans ready for the Rice Cooker! Place in rice cooker with water for cooking, garlic and onion powder, Stir. Keep an eye on it stirring occasionally add more water if needed. Cook until beans are soft, the time really depends on how fresh your dried beans are. My beans are fairly fresh and usually take about 45min- 1 1/2 hours. They are done when they are soft all the way through, with no crunch. I always eat one to check. Add Salt, Pepper and Chipotle chili powder to taste. 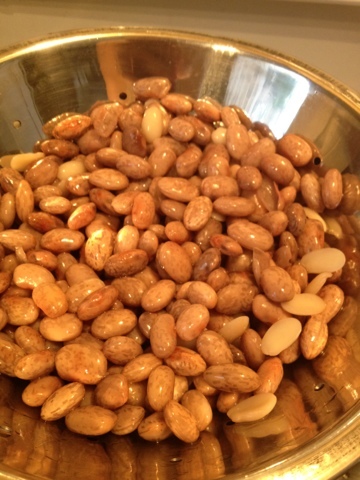 Cooked Pinto Beans Ready to eat or use in your recipes. Wash and sort your beans. 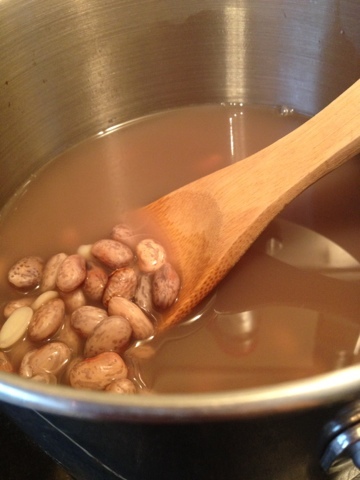 1) Take your beans put them in a pot, pour in the water for soaking. Bring to a boil, boil for 3 minutes. 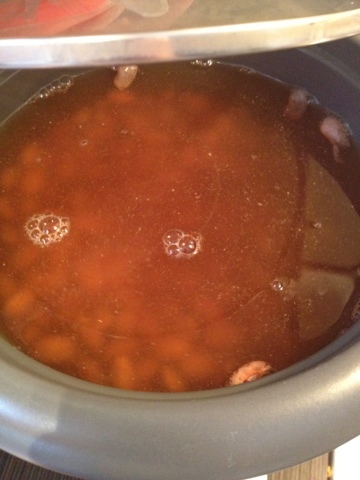 Turn off burner, let beans soak for one hour. 3) Place in rice cooker with water for cooking, garlic and onion powder, Stir. 5) Keep an on it stirring occasionally add more water if needed. 6) Cook until beans are soft, the time really depends on how fresh your dried beans are. My beans are fairly fresh and usually take about 45min- 1 1/2 hours. Alternate: You can add the salt in step 3, I don't because I have a tendency to over salt this way. I have found that adding salt when they are cooking does not make them tough. ThankyouT for this post. This is exactly what I was looking for!